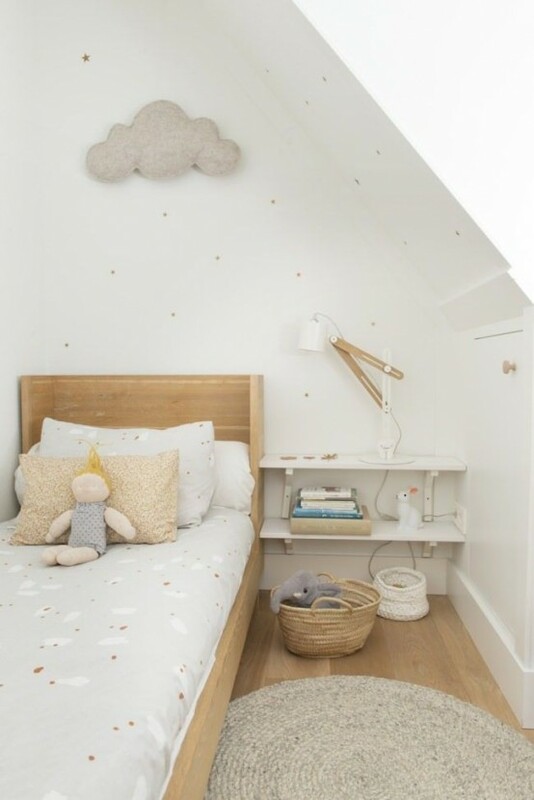 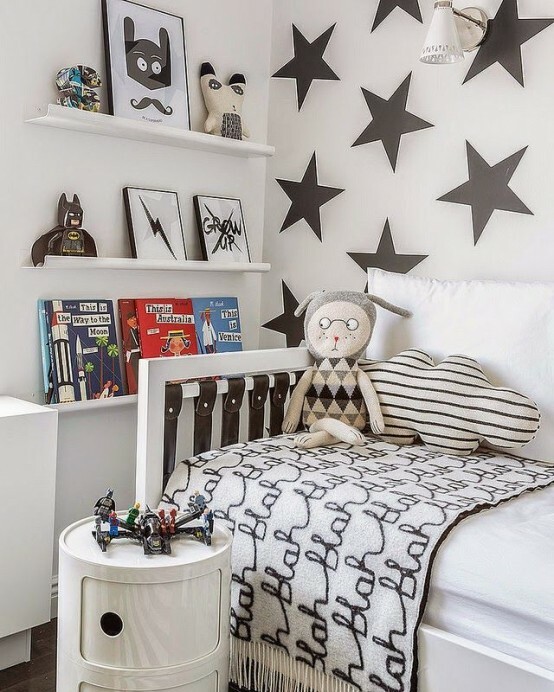 A kids’ room doesn’t mean that it’s a cluttered space in a million of colors – a kids’ space can be stylish and tender in simple color combos. 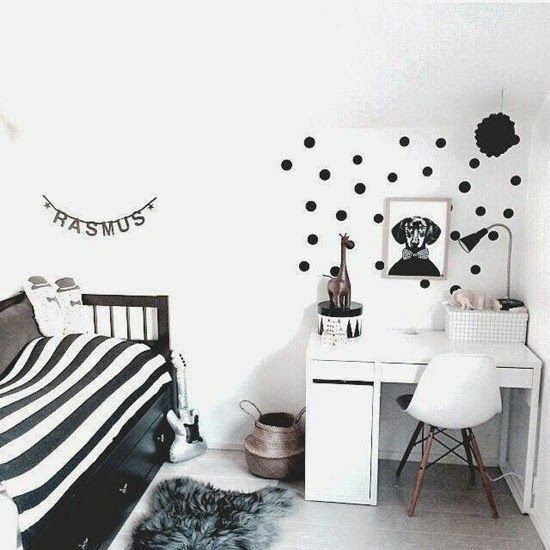 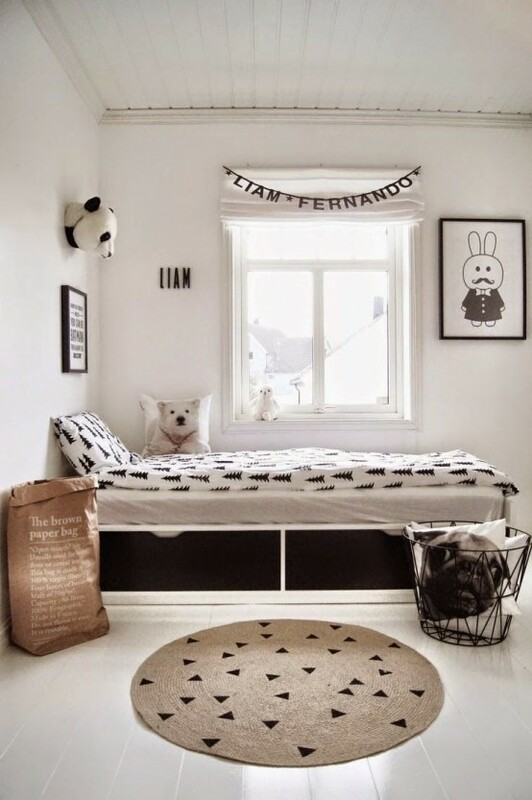 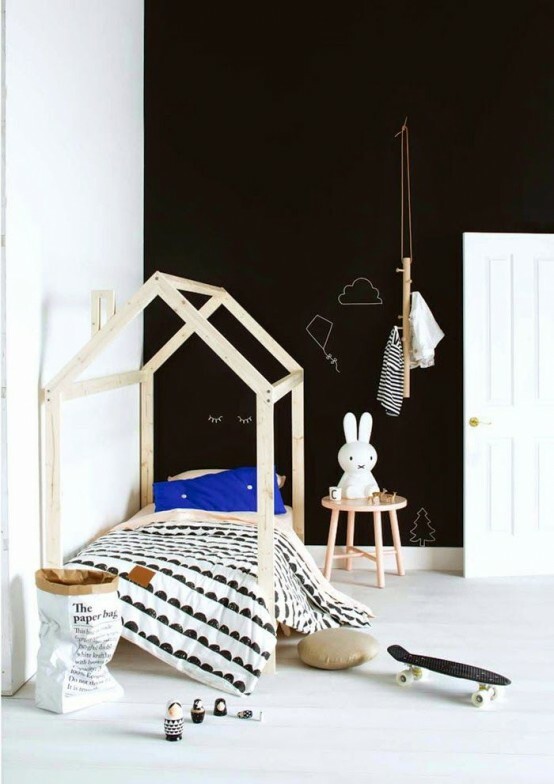 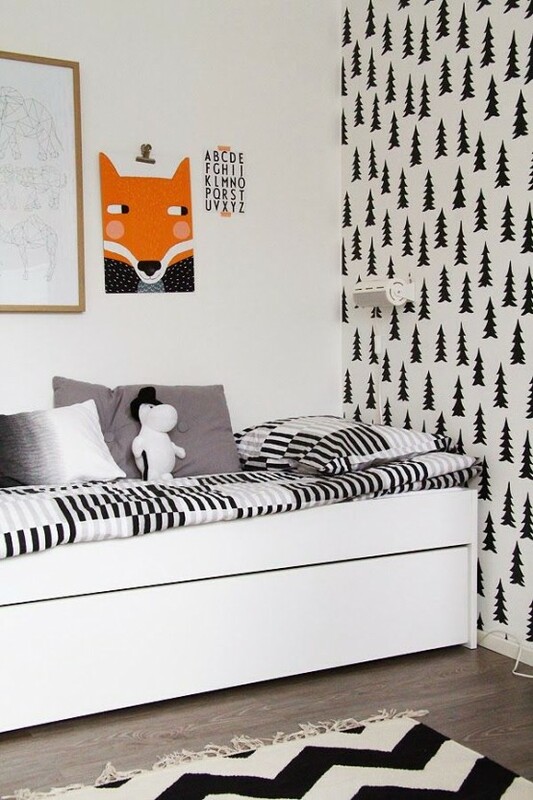 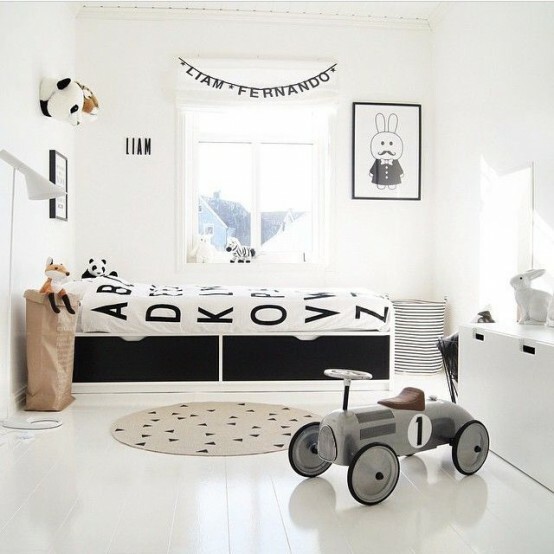 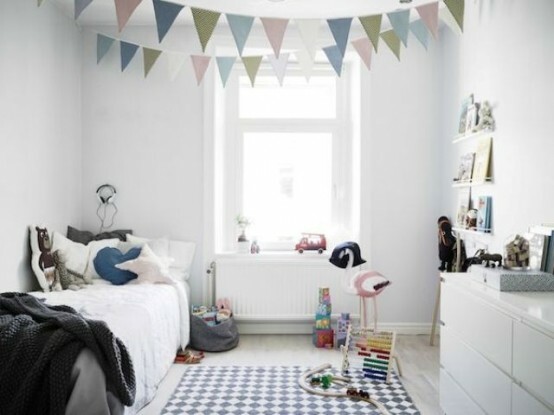 Design your children’s space in Scandinavian style, in black, grey and white but as it’s a kids’ space, add some colors that your little ones love – Nordic colors look awesome with lots of other colors. 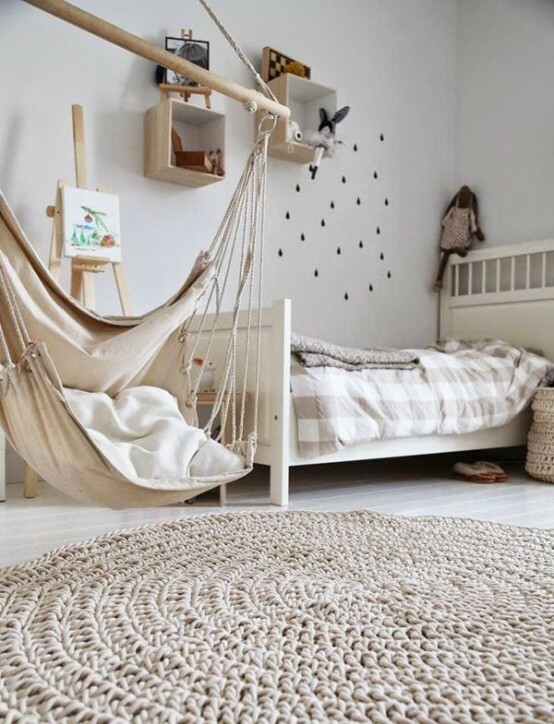 Natural or whitewashed wood will add charm and coziness to the room, and various patterns will make it more cheerful. 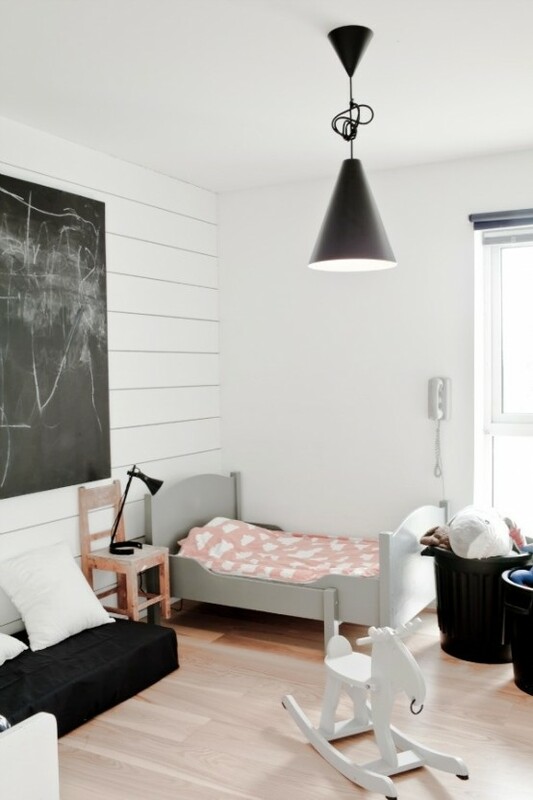 Continue the décor with simple lamps and lights and furry rugs and pillows to make the space more inviting. 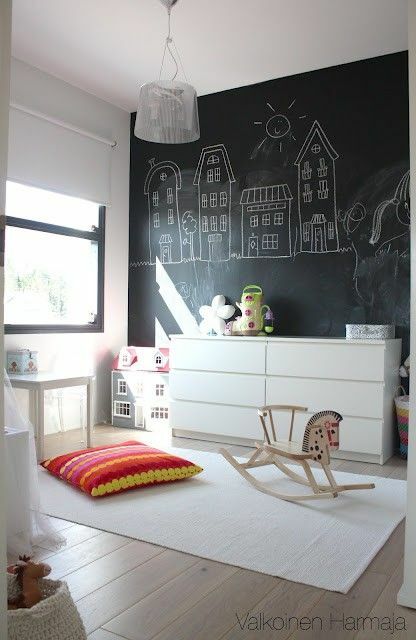 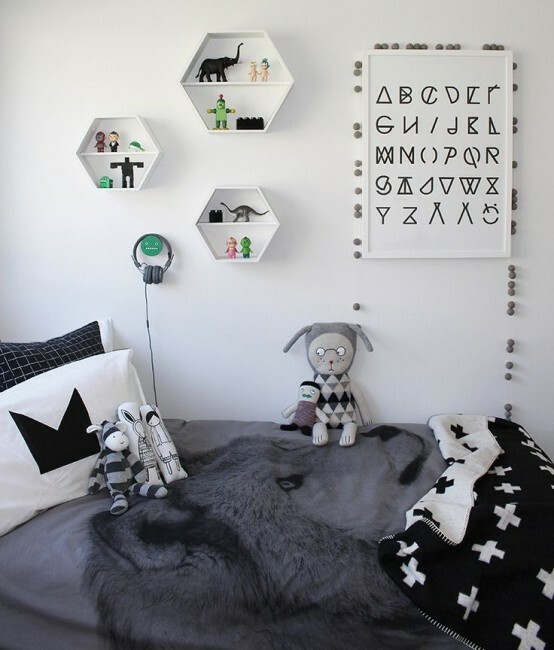 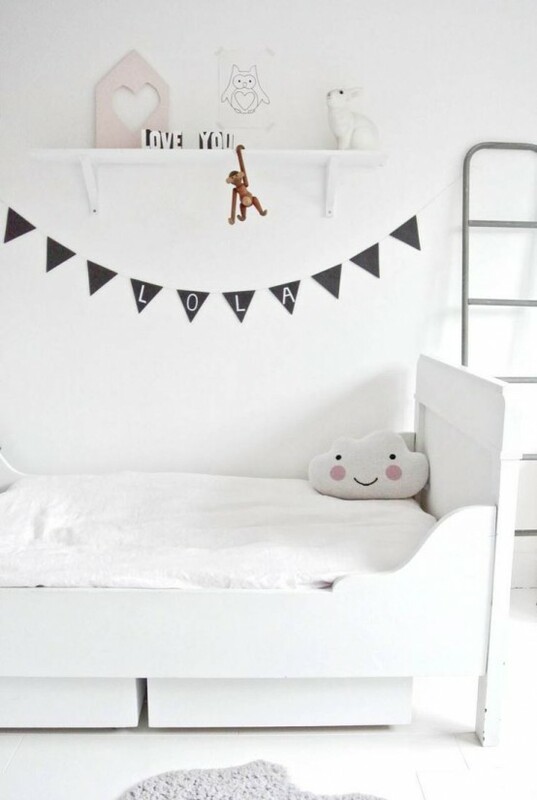 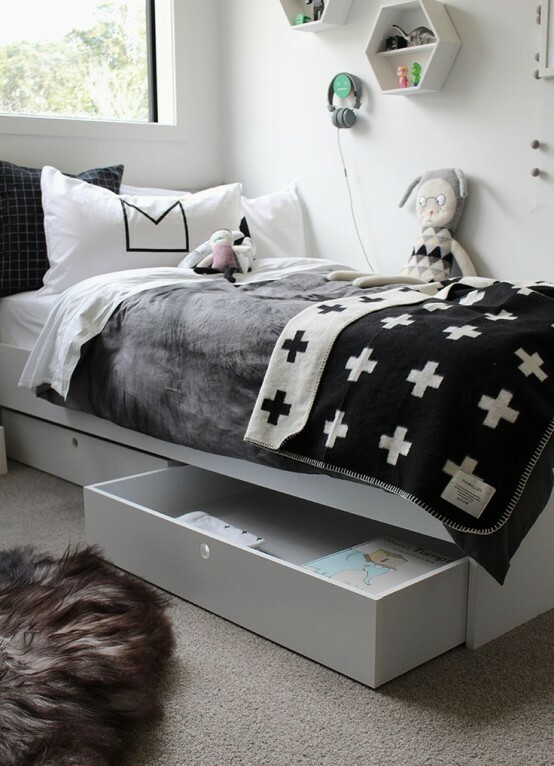 Get inspired by the examples below and make your kids’ space super stylish!